If you like playing games on Facebook, taking heed to some basic FarmVille hints can make the difference between making you a good player and a great one. FarmVille is one of many Facebook games that have taken the online community by storm - whether it's pretending to be in the Mafia or pretending to run your own restaurant. 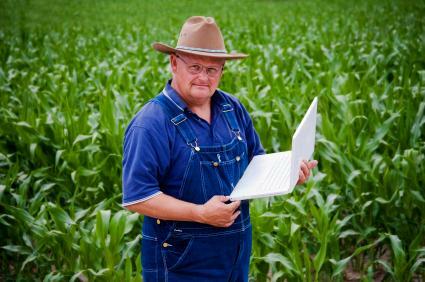 In FarmVille, however, you become a virtual farmer, trying your best to raise good crops and sell them for a good profit. There's more to the game than that, however. The creators of FarmVille have given people the leeway to be creative with the game - for example, growing their crops so that they look like pictures of Elvis when seen from above, or letting them have terraced gardens. Most FarmVille hints are more practical - for example, what crops will give the best yield, or how to earn more "experience" and therefore get more abilities and equipment. The one thing in FarmVille that makes you the most money is crops. Once you get money, don't use it to buy anything but more land (so that you can grow more crops and get more money and etc). Don't bother buying animals and trees. They cost more money than they'll normally make. The last Farmville hint above comes close to another kind of hint: how to cheat at FarmVille. Ranging from just bending the rules like that to installing and running complex external programs that "hack" Farmville and Facebook, many people seem to get as much fun from trying to break Farmville as they do playing it. The strange thing about this is that often it takes more effort and more time to get around the rules than you would if you simply played by them. Still, for some people that is the enjoyment, and many sites focus on the latest cheats for FarmVille. While some people have even gone so far as to write and publish books on the subject, the vast majority of FarmVille hints are found on websites such as Cheatbook.com. The page is filled with helpful suggestions of how to play more efficiently and have more fun, letting you get the benefit of their experiences (and mistakes) without taking away your own potential for a good time. Best of all, at the end they have a space for comments and the suggestion that you "leave your own hints!" Part of what makes Farmville such a success is the willingness of the players to share their experiences, their creations, and their sneaky little techniques for raising the perfect crop of online watermelon on the thriving Facebook network.